What's the secret to finding love that satisfies? Gresh says that a girl's heart should be so lost in God that a man must seek him to find her! 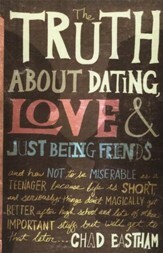 Challenging society's dating assumptions, she reveals the dangers of romance, joys of pursuing your heart's deepest desires, reasons why happily-ever-after stories spring from friendship, and more. 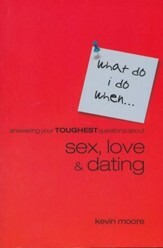 Includes a Group Leader's Guide and Discussion Questions. Have you ever ditched a friend for a guy? Filled your journal with more thoughts about guys than God? Found yourself jealous because that other girl gets all the dates? Maybe its time to get lostin God. Dannah Gresh traces Gods language of love through Scripture to help you pursue your hearts deepest desires and seek love the way God designed it to be. Because once you identify your true longings and let God answer them, youll know just how to respond when romantic love comes along. "So many girls who are longing to be loved are looking in all the wrong places to be filled. 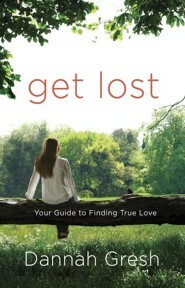 Get Lost reaches into those searching hearts, pulls out deepest longings, and whispers brave truths about a feminine hearts inherent search for love. Dannah Gresh tenderly reveals how to discover faith-filled contentment that will last a lifetime. 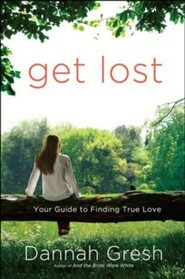 Get Lost is a generational game changer!" "Confusing our desire for Gods love with a desire for a mans love is easy to do. Dannah helps us understand Gods created design for this love craving, how we should respond, and what a true God-honoring relationship looks like. Her refreshing honesty and transparency reflect an authentic desire for Him. Dannah is wise and a worthy guide to follow." 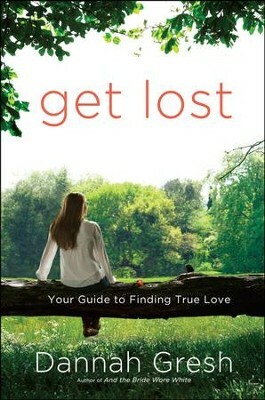 "For every girl who has been in relationship after relationship and lost herself somewhere along the way&hellip; For every girl who has lost hope that Gods best is really out there when it comes to love&hellip; For every girl who has lost something precious and found heartbreak, hurt, and disappointment&hellip; Get Lost is for you. So much more than a Christian how-to guide for love, this book will change the trajectory of your heart by moving you from boy crazy to God crazy. Every girl needs to grab a copy and get lost in the wise guidance and biblical love story Dannah weaves so well." 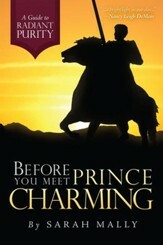 "This is not just another find your man book for young women. In this compelling read, Dannah Gresh effectively shows young women how to be lost in God first, so that if God then calls them to relationship, they will be far more able to love their man well. Dannah, you are a treasure, and so is this book!" "With transparency, winsome imagery, and wisdom, Dannah Gresh tells it as it is. We want boys more than we want God, yet only when we focus on His love, His life, do we find the fulfillment we seek. I got lost in the pages, and I cant wait to share this book with the young women in my life. Getting lost in God is a message worth proclaiming!" "I cant wait to get this book in the hands of every young woman I know. Dannah not only points out the dead end of trusting in a guy for fulfillment; she practically shows you how tp make Jesus the One your heart adores." "This is one of those books that I learned from as I read but feel like Ill return to and learn from over and over as the truths continue to digest into my soul. Dannah is easy to read and feels like a trusted friend." I'm the author/artist and I want to review Get Lost: Your Guide to Finding True Love.